¿Qué sucede en verano? / What Happens in Summer? There's lots to do when the weather is nice in summer. This book explores the warm weather that summer brings, including the activities of nature and fun ways to fill a summer day. 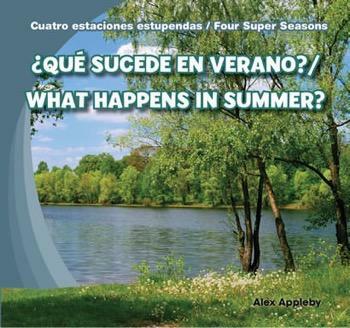 Through the use of accessible text, presented in both English and standard Latin-American Spanish, and simple science content, readers will learn why summer is unique from the other seasons.